Let there be light! An expression jokingly used when someone turns on the lights. But cooking in the dark around a bbq is no laughing matter – it’s very dangerous in fact. This problem is easily solved though. 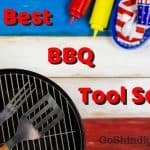 By buying one of the best grill lights suggested in this article you’ll be back to jokingly calling out “let there be light” as soon as the sun sets. Ideally, if you’re setting up a permanent BBQ area in your backyard you’ll plan for grilling at night by setting up some decent permanent outdoor lighting. Of course, this isn’t always possible as you might not have access to a power supply in your new grilling area. Even if you do, it’s often the case that you move your grill around (BBQing at a friend’s house or out camping for example), so these are the times that you’ll be glad you invested in a great grill light. 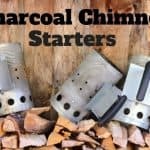 Recommending the best grill light is near on impossible as there are so many different types of grills, from massive kamado grills to tiny portable BBQ’s and everyone’s BBQ set-up is different. So the first thing you need to check before buying a grill light is whether it’s compatible with the equipment you have. Below I’ll run through the best grill lights, in no particular order, as they are all great lights and it’s up to you to decide what works best for you. 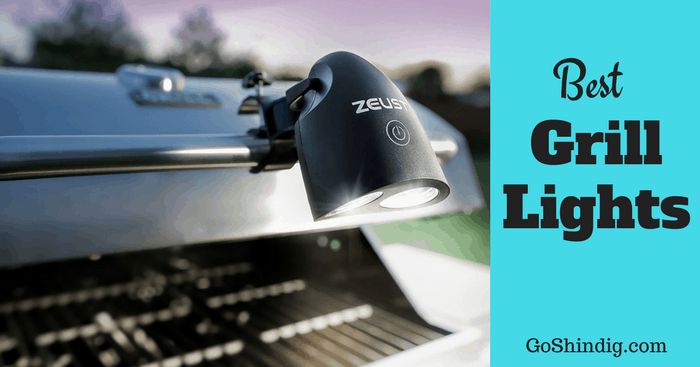 A great grill light that will fit the majority of people’s needs it the Zeust super bright LED light. 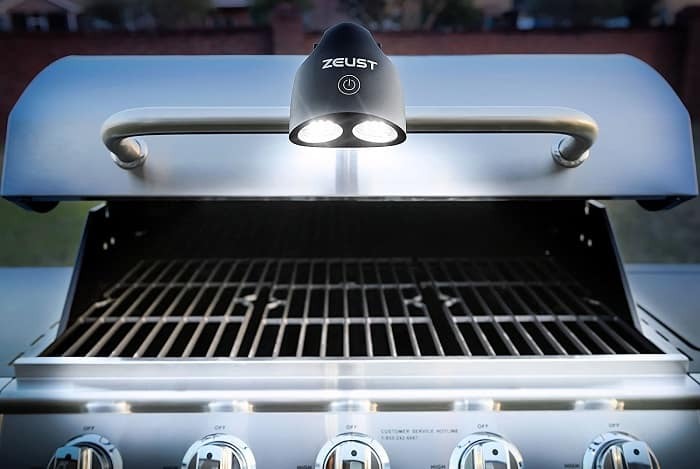 Adjustable clamp lighting is the most common method of brightening up a dark grill area and Zeust’s grill light is definitely one of the best in this field. It has a single adjustable clamp that is slightly rounded to be able to grip onto both flat and circular handles. The clamp can be adjusted to grip onto a handle as large as 1.45 inches. 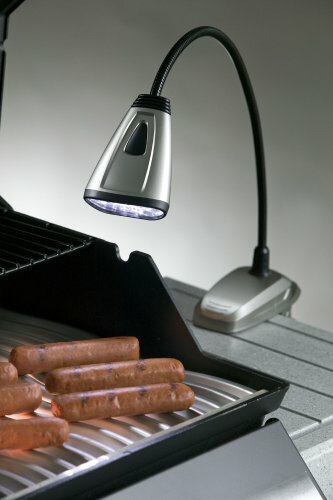 The head of this grill light has 10 LED lights (giving off 105 lumens), the head can be twisted left, right, up and down to change where the light is shining during use. 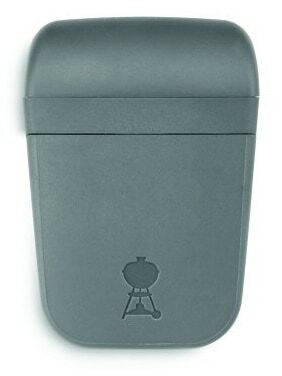 The batteries are also stored in the head and are secured with a screw-in battery box. Some people gripe about having a screw to get into the battery box, thinking it’s an unnecessary step and should just clip off the same as most remote controls. Maybe they should, but as grill light are made to be around extremely hot coals, it’s better to be safe than sorry. The last thing you need is having a battery fall onto hot coals while it’s dark outside. The Fulcrum grill light is a different style to the standard handle clamp light as it’s designed to clamp onto anything that is close by to the grill and use its strong gooseneck to be twisted to a position that gives the pitmaster good lighting. Many BBQ set-ups have the grilling area at the bottom of the yard, as here it is less likely that the smoke and smells from cooking will bother neighbors. In these circumstances, the walk to and from the grill is a little more treacherous and just having an attachable grill light might not be what’s required. 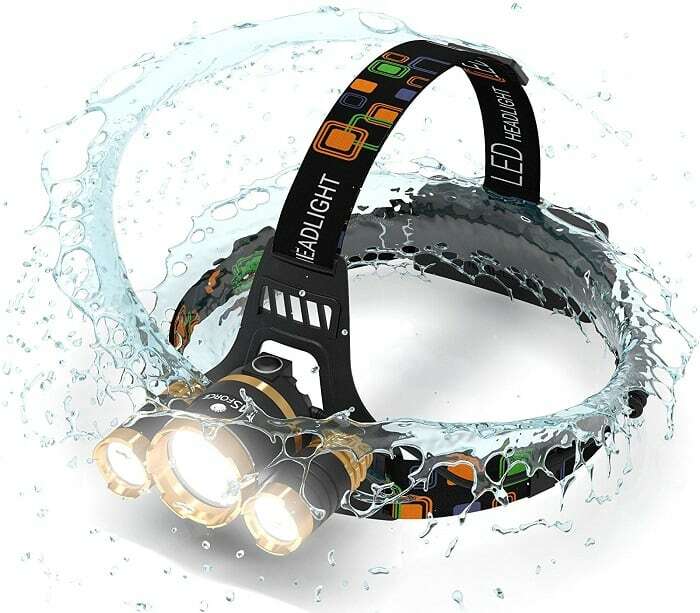 Your needs might be better suited with a headlamp or some sort of torch that leaves you hands free. Ok, granted, you’re not going to get any cool points for wearing one of these but who cares what people think? The food should be the star of any BBQ party, and if a headlamp helps with the cooking, then so be it. The two headlamps I’m going to recommend might be overkill, but it’s better to have a torch that’s too bright than one that’s not bright enough. A novel idea for a grill light that would make a nice gift for a loved one who enjoys BBQing is the Grillight stainless steel LED spatula and tong grilling set. 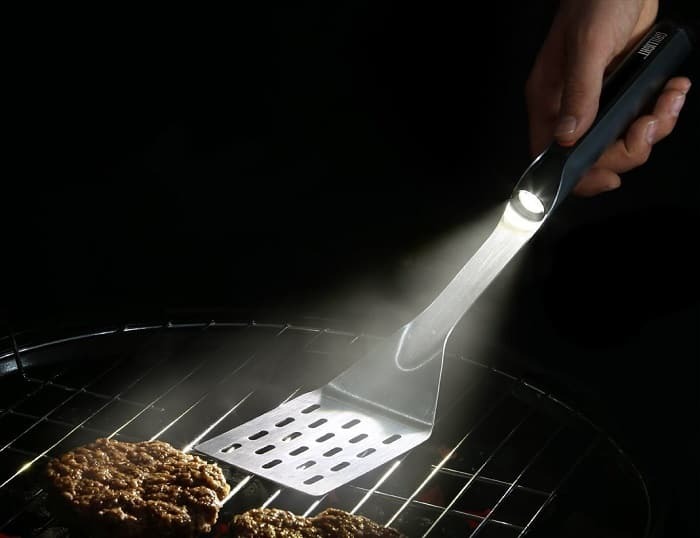 This is unlike any of the other lights recommended as it’s dual purpose, obviously doubling as a spatula/tongs as well as a grill light. The light is encased in the handle, meaning where you point the tool is where the light will shine.